This year, paddlers on Lake Superior may have noticed an abundance of gooey algae in the waters lining the cobble shoreline. Some who have spent years on the lake have noted seeing this “goo” or “scum” in areas which were crystal clear in previous years. Calm waters in the Lake Superior National Marine Conservation Area. Upon seeing the above pictures of rock scum found off Simpson Island, Pam Anderson of the Minnesota Pollution Control Agency (MPCA) suspects it may actually be what is referred to as a “typical epilithic nearshore algal community”. The word Epilithic originates from epi- meaning “upon”, and lithos meaning “stone”. That makes sense; we can conclude that this algae prefers to grow on rocks near the shore. MPCA Researchers have noted scums west of Thunder Bay to be primarily Diatoma ehrenbergii. Diatom are a type of algae and one of the most common types of phytoplankton. Evidence of these unicellular organisms have been dated back to the early Jurassic period. They are the base of food chains in aquatic environments, and it is not uncommon to find shorebirds snacking on the smaller organisms such as larvae that gravitate towards diatom patches. Diatoma ehrenbergii has been observed in the Great Lakes since the 1840s. This is an invasive species, which can also be found in Europe and polar regions. It likely arrived in ballast from ships. According to the National Oceanic and Atmospheric Administration, this specific diatom does not pose an environmental or economic risk to the lake. One diatom of international notoriety is Didymosphenia geminata, commonly referred to as “didymo” or the much more evocative “rock snot”. Didymo is likely native to Lake Superior, found intermingled with other diatoms in nearshore communities. In other areas of the world this diatom runs rampant, altering the water quality and local ecosystems as well as clogging recreationalist’s water filters. New Zealand is taking measures to mitigate the spread of this invasive species. 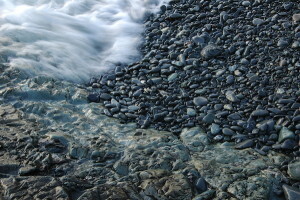 Crystal clear water and polished stones at Slate Islands. Why paddlers may be seeing more rock-loving algae on the lake may be attributed to what is referred to as an “algal bloom” These blooms are caused by an abundance of nutrients in a water system, sometimes caused by agricultural runoff. Anderson believes that a large contributor to the seeming excessive amount of algal communities could be due to the relatively calm conditions we’ve experienced on the lake this year. Our guides have been irritated with the algae clogging water filters, and some may think twice about swimming along Superior’s cobble beaches; however, this specific goop we see is just a part of the natural ecosystem. We are truly lucky to be able to spend time in regions which are relatively untouched by pollution, although we should be aware and vigilant of non-native organisms that can pose a risk or indicate a water quality issue. A nation emerged in the wake of birchbark canoes, the engines of the fur trade—Canada’s first industry. The canoe epitomizes our history. 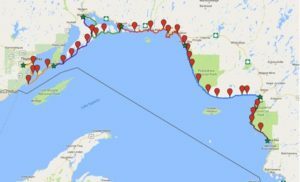 What better way to celebrate Canada’s 150th anniversary than to paddle the voyageur highway? 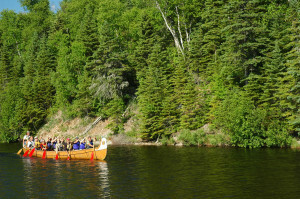 Naturally Superior Adventures’ Lake Superior Voyageur Canoe Brigade consists of six guided, all-inclusive wilderness adventures by 36-foot replicas of the North West Company’s “canots de maître.” These canoes are seaworthy and easy to paddle for all levels of outdoor enthusiasts. Each leg of the journey will consist of up to 12 participants (“milieu” in voyageur speak) and experienced guides. Starting July 2nd in Lake Superior Provincial Park, each brigade will travel 5- to 10-day legs, finishing August 19 at Old Fort William Historical Park, near Thunder Bay. 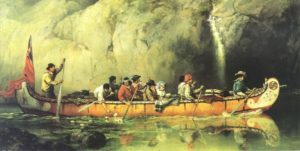 This is your chance to commemorate Canada’s rich canoeing history on The Great Trail. You’ll experience the same rugged shoreline that mesmerized the French Canadian voyageurs two centuries ago. 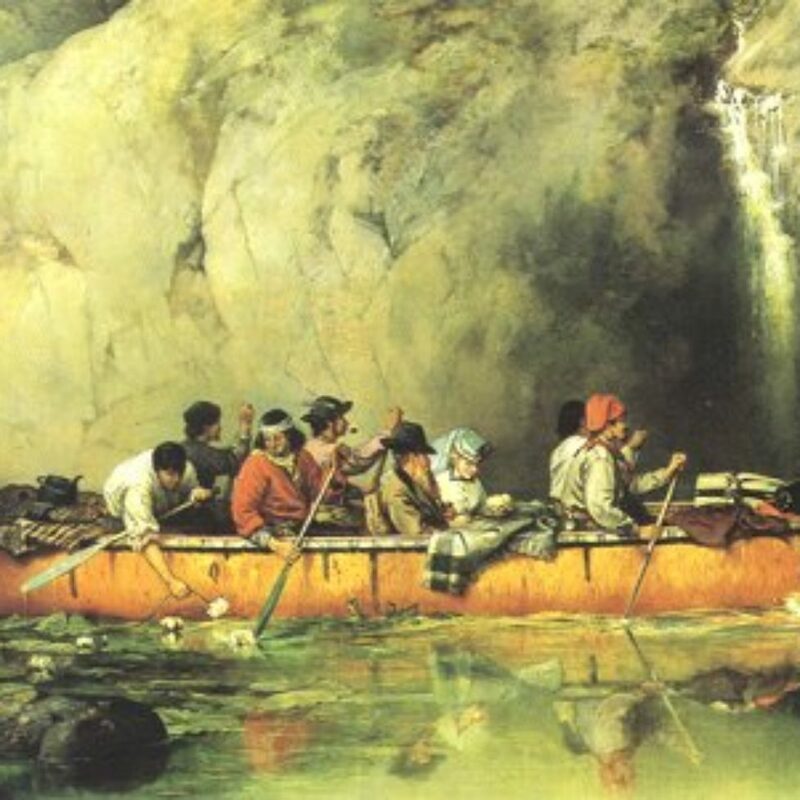 Artist Frances Anne Hopkins immortalized this unknown wilderness and hearty lifestyle; 200 years later, you’ll paddle into scenes that have remained virtually unchanged. #1 Paddle with the Happy Camper – Celebrate Canada Day with a voyageur canoe trip on the wonderful coastline of Lake Superior Provincial Park—with popular canoeing personality and author Kevin Callan (aka The Happy Camper). This 6-day trip has a little bit of everything: Stunning sand beaches, rugged headlands, great hiking and secluded coves. #2 Becky Mason on the Pukaskwa – Join the daughter of legendary Canadian canoeist, filmmaker and artist Bill Mason on this 10-day journey into the heart of Lake Superior’s greatest wilderness. Becky is an acclaimed canoe instructor, painter and environmentalist who carries on her father’s legacy. #3 En Route to the Great Rendezvous – We couldn’t think of a better guest than Thunder Bay-based singer-songwriter and historian Rodney Brown for the final leg of our journey, which ends at enchanting Fort William Historical Park—a recreated fur trade post where time stands still. Each leg of the brigade has its own appeal, from the austere landscapes of Lawren Harris Country on the North Shore, the mystical Rossport Islands and the lonely island lighthouses of the remote waters of the Lake Superior National Marine Conservation Area. Join us this summer—each trip promises to be an experience you’ll never forget. assessment process for waterway-related infrastructure are huge concerns. The worst part that this decision is being made behind closed doors. Fire away. The more the merrier. Sea Kayaker Readers Choice ~ Media Brag! Every three years, Sea Kayaker Magazine invites subscribers and online readers to vote for their favourite paddling products. It is truly the will of the people, as the readers have no limitations or guidelines in naming their best choice. Voting for this triennial award took place earlier this year and a record number or submissions were received by the magazine. 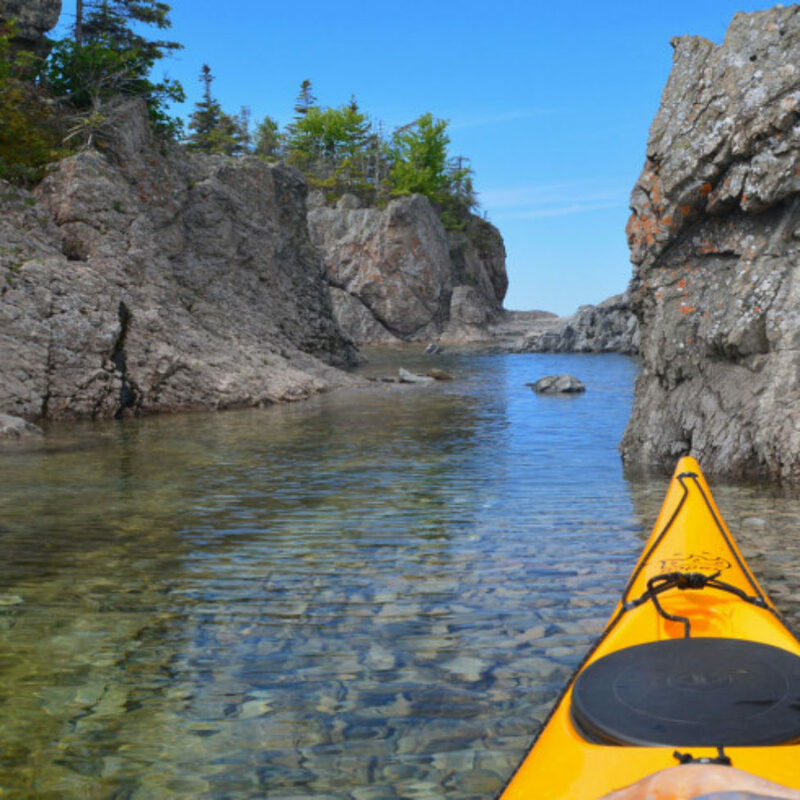 Naturally Superior’s premier sea kayak tour is the “Big One”, a seven week paddle following Canada’s Lake Superior’s coast from Pigeon River in the west to Sault Ste. Marie in the east. 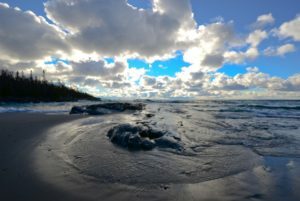 The annual trip is divided into seven one–week sections and the Canadian side is a spectacular wilderness coastline of Parks and Conservation Reserves. Lake Superior is the world’s largest freshwater lake. It’s an inland sea, fresh clear and clean, without tides or salt. 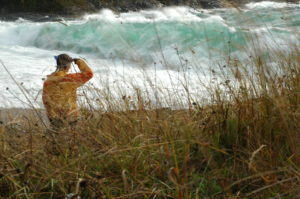 In addition to recognizing Naturally Superior Adventures, Sea Kayaker Magazine Readers Choice also recognized Living Adventures www.livingadventure.com located on Lake Superior near Bayfield as the Best Tour Operator for Midwest USA. Sea Kayaker Magazine will publish the Reader’s Choice Awards in the December 2008 issue. As triennial awards, the current distinctions are valid through 2011. Experienced Equipment Sale Now On! Every year we sell off our entire fleet of boats and gear to make way for new stuff for next year. It is a great opportunity for folks to buy a kayak or canoe and still have enough time left in the season to try it out. Some of our kayak fleet includes; Boreal Designs’ Fjiord, Necky Looksha IV and Narpa, Current Designs’ Alaho and Squall, Seaward’s Chilco, Quest and Navigator. We also have some tandem boats for sale’ Seaward’s Southwind and Passat plus a few plastic ones as well. If you are in the market for a canoe, we’ve got boats from Nova Craft (16 and 17 foot Royalex), Wennonah and Evergreen. You can also pick up accessories for your new-found boat- paddles, spray skirts, throw bags, paddlefloats, and pumps. You can find all the items, short description and the prices here. The traditional refers to the paddling, not the symposium. August 21-24, 2008, we are hosting our 3rd annual Traditional Paddling Symposium also referred to as the Greenland Style Paddling Symposium. There will be workshops devoted to Greenland style paddling for women, novice, intermediates as well as rolling and building your own paddle. Friday will be a day of tours around Michipicoten Bay, Saturday will consist of workshops and there will also be a concert Saturday night. Sunday we’ll have our Lake Superior Goes Greenland Paddling Competition where the “competition” is merely a formality, as paddling, hunting and portaging make sure this activity is more fun than work. Not a Greenland Paddler? We can supply you with the use of a handmade wooden paddle to get you started. Hopefully you’ve registered to participate. If not call the office to see if there is still availability. 1-800-203-9092. NSA staff spent their weekend co-hosting the Rossport Symposium along with local company Superior Outfitters. The weekend was a huge success and we managed to attract over 60 participants to the little hamlet on the shore of Lake Superior. Weather was on our side (more or less). We had a huge thunderstorm overnight Friday night but come morning the sun was shining and it was even a little bit hot. Unfortunately the good weather couldn’t last the entire weekend and our last event on Sunday afternoon was rained out. We kicked off the weekend with a showing of various films from the Reel Paddling Film Festival. We got to watch a variety of paddling movies such as Islands of the Haida by Justine Curgenven about a group of paddlers that sea kayak 800 km around Haida Gwaii and Birthplace of the Wind by Jon Bowermaster , another sea kayaking movie about a group of friends who paddle the Aleutian Islands. Saturday was a combination of instruction for beginners and guided tours of the islands for intermediate and advanced paddlers. In the afternoon those who weren’t out for a full day tour could choose between on water playshops such as “Finding Your Edge” and “Paddle Stroke Improvement” or dryland sessions like “Yoga for Paddlers” and “Expedition Planning”. The highlight of Saturday night was the dinner put on by Environment North as a fundraiser for their initiatives. Apres stuffing our bellies we were entertained by a vicarious Joanie McGuffin as she presented her slideshow of the North Shore and promoted awareness of the Lake Superior Conservancy and Watershed Council (www.lscwc.org ). She is also promoting their new book “How to Paddle Your Kayak”. To cap off the evening, our ears were tuned into the guitar riffs of Bill Houston and mandolin great Damian Dowback. A day on the water, a belly full of yummies add a couple of social beverages on top and I don’t think anyone had any troubles falling asleep that night! Sunday was a busy day with the novice group heading out for some guided half day tours around the Rossport archipelago while the rest of the crew got to choose from a variety of playshops geared towards intermediate and advanced paddlers. Some of the choices included rolling, greenland style paddling and rescues. Rain took us indoors to the Rossport Community Hall for lunch prepared by the Relay for Life volunteers. The afternoon’s final activity- The Amazing Race was then morphed into the Amazing Trivial Challenge and participants were eligible for prizes from Superior Outfitters, Wild Waters and Gear Up for Outdoors. All in all everyone had an enjoyable weekend, friends were made, networking was had and even a few skills were learned. If you would like to be notified about upcoming paddling symposiums, join our email list for updates. See more photos of the weekend.